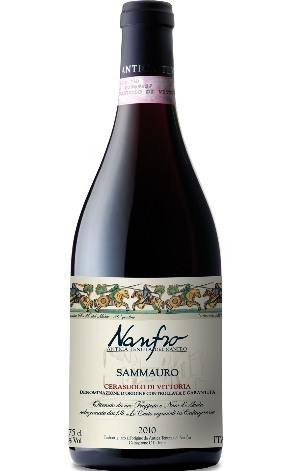 Produced by ( Nanfro - SICILY ). The Cerasuolo grown in the Vittoria region in Sicily are gaining a reputation for their versatile red wines full of character, and produce the only DOCG in Sicily. This seriously fruity organically grown wine is a deep, ruby red and bursting with flavours of red berries and cherries, as well as hints of figs and raisin, and an a appealing, soft velvety texture.